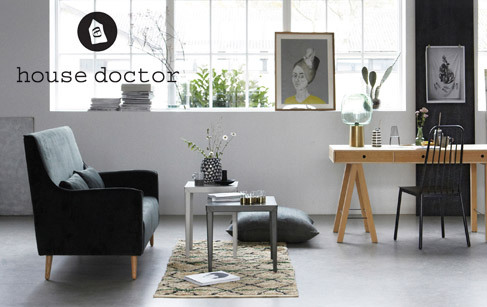 Nordic atmosphere with the Danish brand House Doctor... This collection is an informal take on Scandinavian design. From a scale of subdued colours with hues of green and grey, the collection plays with sculptural details, geometric shapes, art and vintage references. Exciting objects, tinted glass carafes and vases, with a nod to patina and a graceful vintage look and feel.